If you believe the colors, then we're looking at white, snow-covered peaks, blue oceans and green continents. Many of the "insiders" have said that life is abundant in the solar system and that there are civilizations and colonies everywhere. I even ran across some references to that back at Montauk, where I read that three of the large moons had huge civilizations (mentioned to David Wilcock, years ago). And now that we're finding all sorts of "Earth-like planets around stars" that are actually "moons around gas giants," well, I think the color photo of Ganymede says quite a bit. What about the atmosphere on these moons? There must be enough of oxygen and nitrogen to sustain life, as we know it. Unless they live in underground bases. To me, the white parts look like the lights of cities. Especially, when they are on the green next to the blue. Like our large cities which are often located near bodies of water. Ilkka wrote: What about the atmosphere on these moons? There must be enough of oxygen and nitrogen to sustain life, as we know it. Unless they live in underground bases. Ganymede is larger than Mercury, so it is technically "planet sized." Even the moon has an atmosphere, though it is yellowish, not blue, kind of like you see at dawn. Actually, the white might be clouds, as well. Not everything requires a nitrogen-oxygen atmosphere; even on Earth there are bacteria that live in magma and under extreme pressures in total dark in the ocean depths. Quoting Ian Malcolm from Jurassic Park, "life will find a way." Now you tell me, does Ganymede look more like the Earth or the Moon??? So are these LMs on Ganymede or someone else? or both? Why should anyone believe them? What have they said in the past that one can verify as accurate? What is the temporal process, In Detail, needed so that I or another can subjectively experience and recreate what is claimed? daniel wrote: Now you tell me, does Ganymede look more like the Earth or the Moon??? I tell you then, it does look more like Earth than "dead" moon, judging from that picture that is. -OM- wrote: So are these LMs on Ganymede or someone else? or both? What I remember from some posts here or CH the LMs are on the moon, our moon that is. Maybe they are on Ganymede also, but some if not all or most, would require oxygen either from air or water to live. I find it interesting to note that when I first learned about the Celestia software, I would entertain my roommates daughter by showing her different planets and moons, and the body that I would most often visit, in order to see Jupiter in the sky... Ganymede. I've also visited moons of Jupiter non-physically (and they were definitely inhabited).. The feeling of being on a satellite to something as large/close as Jupiter is intense and gave me vertigo more than a few times. If I find myself on a moon now I (try to) refrain from looking at the planet it's orbiting because of this effect. Sorry for derailing a bit, but this is quite interesting to me since it lends validity to those dreams as well as the (subconscious) choice to pick Ganymede over any of the other moons to view Jupiter from. This is so awesome! I'm gonna go visit some of those places too then joey Or maybe I just don't recall it, u know, with the conscious mind filtering out things "conveniently" that it deems invalid or irrelevant. Surely no beer is required on Ganymead...? Using stereophotogrammetry on Cassini Image Science Subsystem (ISS) images, we measured longitudinal physical forced librations of Saturn’s moon Mimas. Our measurements confirm all the libration amplitudes calculated from the orbital dynamics, with one exception. This amplitude depends mainly on Mimas’ internal structure and has an observed value of twice the predicted one, assuming hydrostatic equilibrium. After considering various possible interior models of Mimas, we argue that the satellite has either a large nonhydrostatic interior, or a hydrostatic one with an internal ocean beneath a thick icy shell. -The 1933 novel When Worlds Collide is one of the earliest examples of an interstellar ark. To save humanity from extinction when a star is about to destroy Earth, a group of astronomers construct a massive spaceship to carry forty humans, in addition to livestock and equipment, to a new planet. -A Star Trek third season episode entitled "For the World Is Hollow and I Have Touched the Sky" takes place on a hollow asteroid generation 'ship' called Yonada. -In the animated Disney-Pixar film WALL-E, the space vessel Axiom, originally intended as a temporary dwelling for humanity for a 5-year period during which robots were to clean up an environmentally devastated Earth, becomes a de facto ark housing multiple generations of humans over a period of 700 years. -In Stargate Atlantis third season episode "The Ark", Colonel Sheppard's team discovers a facility inside a hollowed-out moon that turns out to be an ark created by the people of the planet around which the moon is in orbit. The ark was built to preserve the existence of the people from the planet and rebuild its civilization after a Wraith defeat. People were stored in stasis in the ark using Wraith beaming technology. The government then waged an unwinnable war against the Wraith, and purposely decimated the remainder of their own population with atomic bombs, leading the Wraith to believe that these people are extinct. -In Rendezvous with Rama, by Arthur C. Clarke, an alien interstellar ark transits through Earth's solar system. Hmmm... what exactly did Arthur know indeed!? That ridge looks just like the one on Iapetus. Surely there are still many more out there though... only around 180 more candidates! Jupiter has 67 known moons with confirmed orbits. Its eight regular moons are grouped into the planet-sized Galilean moons and the far smaller Amalthea group. They are named after lovers of Zeus, the Greek equivalent of Jupiter. Twenty-four of Saturn's moons are regular, and traditionally named after Titans or other figures associated with the mythological Saturn. The remaining thirty-eight, all small, are irregular, and classified by their orbital characteristics into Inuit, Norse, and Gallic groups, and their names are chosen from the corresponding mythologies. Naming - The modern names for Saturnian moons were suggested by John Herschel in 1847. He proposed to name them after mythological figures associated with the Roman god of agriculture and harvest, Saturn (equated to the Greek Cronus). In particular, the then known seven satellites were named after Titans and Titanesses—brothers and sisters of Saturn. In 1848 Lassell proposed that the eighth satellite of Saturn was named Hyperion after another Titan. When in the 20th century the names of Titans were exhausted, the moons were named after different characters of the Greco-Roman mythology or giants from other mythologies. All the irregular moons (except Phoebe) are named after Inuit and Gallic gods and after Norse ice giants. So just how many moons in our solar system would potentially be habitable and also hollow? Is there a certain size limit? Apparently not with the proper man-made "moons" like Phobos and Deimos which are tiny, but is there a chance that some moons may have white dwarf fragments at the centre or would that then classify them as small planetoids? 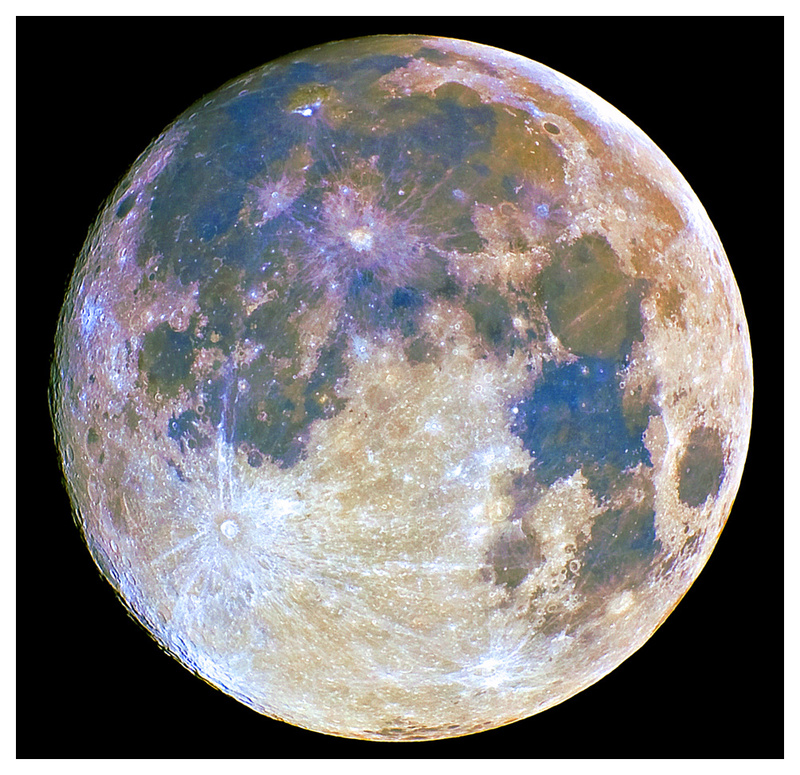 Djchrismac wrote: So just how many moons in our solar system would potentially be habitable and also hollow? Is there a certain size limit? All of them. That is why they have stable orbits. Djchrismac wrote: Apparently not with the proper man-made "moons" like Phobos and Deimos which are tiny, but is there a chance that some moons may have white dwarf fragments at the centre or would that then classify them as small planetoids? Phobos and Deimos were not MAN-made... they were supernova remnants from the core of a star that were, shall we say, "harvested" by the Titans that were mining Mars, as a replacement for the Moon, which was taken by An and the Annuna and put into orbit around Tiamat. Remember "the inverse density gradient of white dwarf stars," to cite the title of Larson's paper. The core is the surface, with a light, chewy atmosphere at the center, like a Tootsie-pop. That's why they make good interstellar ships... the densest material is at the surface for protection from the rigors of space travel, a warm, cozy interior with an atmosphere, and already existing at the intermediate speed range (2-x, neutral speed) so it does not take much gravitational engineering to move it about the solar system. The large, death-star-like craters aren't weapons, but chemical engines, as the solar system contains a large number of gravitational "dead spots," where the forces of gravity zero out between the various, astronomical bodies. When an Ark hits one, they get stuck there, since the Anti-G propulsion system has nothing to push against (anything times nothing is still nothing). So, a form of "impulse engine" was needed to get them free from these gravitational nodes, moving them sufficiently away to get the warp drive back online. In the paper he proposes that the charge field has more to do with the heating and cooling of the planet than direct sunlight. This falls in line with the thinking that Mercury probably isn't as hot as 'advertised'. The part of the paper I found interesting was the tilt of the Earth was to maximize the planets reception of photons. Hmmm...the planet is thinking. Sorry my mistake, I went for the standard opposite of something natural without thinking. daniel wrote: Remember "the inverse density gradient of white dwarf stars," to cite the title of Larson's paper. The core is the surface, with a light, chewy atmosphere at the center, like a Tootsie-pop. That's why they make good interstellar ships... the densest material is at the surface for protection from the rigors of space travel, a warm, cozy interior with an atmosphere, and already existing at the intermediate speed range (2-x, neutral speed) so it does not take much gravitational engineering to move it about the solar system. Nature always provides. You say it doesn't take much gravitiational engineering... yeah if you properly understand gravity that is! daniel wrote: The large, death-star-like craters aren't weapons, but chemical engines, as the solar system contains a large number of gravitational "dead spots," where the forces of gravity zero out between the various, astronomical bodies. When an Ark hits one, they get stuck there, since the Anti-G propulsion system has nothing to push against (anything times nothing is still nothing). So, a form of "impulse engine" was needed to get them free from these gravitational nodes, moving them sufficiently away to get the warp drive back online. So it's probably worthwhile having a spaceship like Jayce did in the 80's in case you encounter a dead spot? NASA have a long history of hiding the truth from us. I think this was maybe discussed a while back but if the centre of each planet is a mini-sun in the form of a white dwarf fragment then the centre of the sun should be a planet? It made me think of the yang "sunny side" and yin "shady side" with the sun being 3D rotational time inside unit space and the planets being in the material sector but with their core in the cosmic sector. Flip this around and if you were on the sun (planet side in the cosmic sector) you would see lots of small suns in the sky where the planets that we see and inhabit would be? "The Sun ... appears to be nothing else than a very eminent, large, and lucid planet ... Its similarity to the other globes of the solar system ... leads us to suppose that it is most probably ... inhabited ... by beings whose organs are adapted to the peculiar circumstances of that vast globe." Among others who shared this belief in the Sun as a life-bearing planet were François Arago and David Brewster. In fact, such weight did Herschel's views carry that serious proponents of an inhabited Sun were still to be found in the 1860s. Oddly, Bueren may have been correct – just a bit premature! 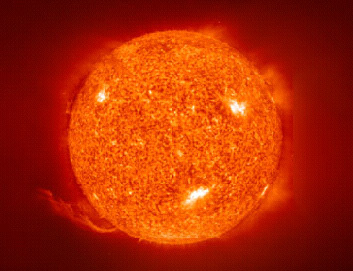 In 5 billion years or so, Earth will enter a gaseous holocaust caused by the Sun becoming a red giant. But, according to Rybicki and Denis,3 Earth will survive intact, not evaporating inside the Sun, and eventually will be ejected from the Sun. So, subsurface, heat-tolerant microbial life-forms just may one day live inside the Sun! More recently, with the realization that alien life might run along completely different lines to the terrestrial variety, scientists and science writers have revisited the possibility of organisms living inside or on the surface of stars. Speculations about plasma-based life inhabiting the interior of the Sun or other stars have been made by A. D. Maude4 and later elaborated by Feinberg and Shapiro5. 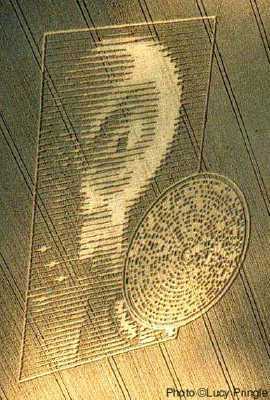 "We were looking at what seemed to be a translucent oval, its interior laced with a network of almost invisible lines. Where the lines crossed there appeared to be tiny, pulsing nodes of light... What we were seeing was impossible, yet the evidence was there before our eyes. We were looking at life, where no life could exist. The eruption had hurled the thing out of its normal environment, deep down in the flaming atmosphere of the sun..."
Other modern science fiction writers to explore the theme of life in the Sun and other stars are Hal Clement in "Proof" (Clement's first published story in the June 1942 issue of Astounding magazine), David Brin with his Sundiver 6 (1980), and Robert Forward in his novels about a technological civilization on a neutron star (see neutron star, life on). "She descended into the Sun, through the ... flock of photino birds. The birds soared past and around her, tiny planets of dark matter racing through their tight solar orbits. The birds continually nudged toward or away from each other, like a horde of satellites maneuvering for docking. Many of the transient clusters they formed ... seemed immensely complex. There had to be a reason for all this activity..."
"Amongst them, when a man grows old he does not die, but dissolves into smoke and turns to air [a convenient ploy for disposing of dead aliens also used in more recent science fiction, such as 'The Man Trap' and 'Catspaw' episodes of the original Star Trek series]. They all eat the same food, which is frogs roasted on the ashes from a large fire; of these they have plenty which fly about in the air, they get together over the coals, snuff up the scent of them, and this serves for their victuals. Their drink is air squeezed into a cup, which produces a kind of dew." 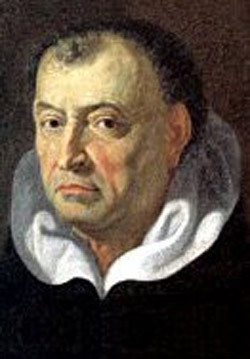 Italian poet and philosopher who wrote extensively in favor of pluralism following the telescopic discoveries of Galileo. His Apologia pro Galileo was the main source used by John Wilkins in The Discovery of a World in the Moone. His The City of the Sun, originally written in Italian in 1602, just after Campanella was condemned to life imprisonment for sedition and heresy, is an important utopian tale that may have influenced Bacon's New Atlantis. In it, Campanella presents an early vision of life inside the Sun. 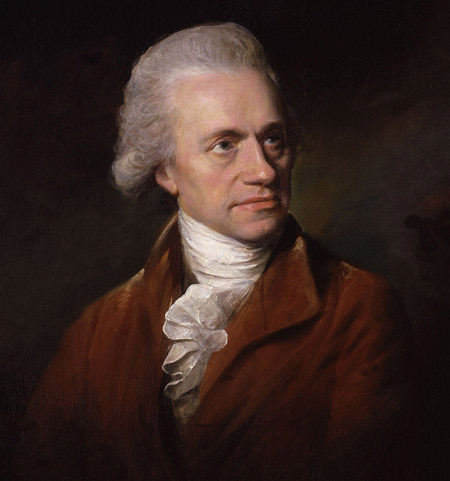 German-born English astronomer, brother of Caroline Herschel and father of John Herschel, who discovered Uranus (1781), its two largest moons, Oberon and Titania (1787), and two moons of Saturn, Mimas and Enceladus (1789). He also effectively founded stellar astronomy. With the patronage of George III he built in 1789 what was then the world's largest telescope – a Newtonian reflector with a focal length of 12 meters (40 feet) and a mirror diameter of 1.2 meters (48 inches). A patient, careful observer, he visually scanned the entire northern sky and catalogued more than 800 double stars and 2,500 nebulae. By counting stars in different parts of the sky, Herschel concluded in 1785 that the Sun is near the center of a flat system of stars roughly five times wider than it is thick. At first, he agreed with Thomas Wright that nebulae might be external galaxies but later changed his mind when he failed to resolve them telescopically into stars. Despite his astronomical credentials, in matters of astrobiology his contributions were less impressive. 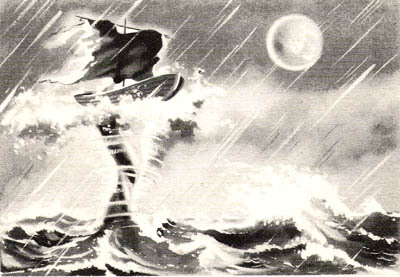 Swimming against the tide of professional opinion, he insisted that the habitability of the Moon was an "almost absolute certainty" (see Moon, life on) and, in common with Isaac Newton before him, was convinced there were intelligent beings living inside the Sun, which he believed to be a large planet with a cool, temperate interior (see Sun, life on). Sunspots he took to be apertures in the Sun's bright outer shell through which we could see inside and the solarions could peek out at the stars. His observations of Mars in the 1780s led him to surmise that the bright areas at the poles were ice caps, the dark patches were seas, and the lighter, yellowish areas were dry land. The inhabitants, he concluded, "probably enjoy a situation in many respects similar to ours" (see Mars, life on). In 1800, using a thermometer and a prism, he discovered infrared radiation. His work was continued by his son John. French physicist and astronomer, director of the Paris Observatory (1843–1853), and secretary of the French Academy of Sciences, whose work helped establish the wave theory of light. He discovered the polarization of light in quartz crystals, and was awarded the Royal Society's Copley Medal in 1825 for demonstrating the magnetic effect of a rotating copper disk. Through his lectures and writings, Arago did much to popularize astronomy and support the view that life is common throughout the solar system. Working with Augustin Fresnel, he discovered that two beams of light polarized in perpendicular directions do not interfere, leading to the transverse theory of light waves. In 1811 he invented the polariscope and later developed a polarimeter, which he used in several astronomical studies. During the solar eclipse of 1842, he examined polarized light from the chromosphere and corona, and determined that the Sun's limb is gaseous. Arago suggested that his student Urbain Leverrier investigate irregularities in the orbit of Uranus and, after Neptune was discovered, took part in the argument regarding naming the planet and, with John Adams, regarding priority. "f one asked me whether the sun can be inhabited by beings organized in a manner analogous to those which populate our globe, I would not hesitate to make an affirmative response. The existence in the sun of a central dark nucleus enveloped in an opaque atmosphere, far from the luminous atmosphere, offers nothing in opposition to such a concept." Phrases such as "nothing in opposition to" were a common feature of his and other pluralist writings and tended to mislead since they appeared to suggest a positive conclusion where the evidence was, in fact, neutral. Arago also wrote about the possibility of life on comets: "I do not pretend to draw from these considerations the conclusion that comets are populated by beings of our species. I have presented them here only to render ... their habitability less problematic". On the prospects for finding creatures on the Moon, however, he was more pessimistic (see Moon, life on). 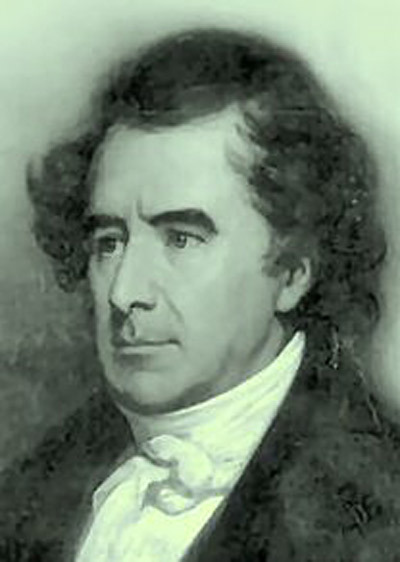 Scottish physicist and elder of the Free Church who discovered Brewster's law in optics and did much to popularize science in 19th-century Britain. 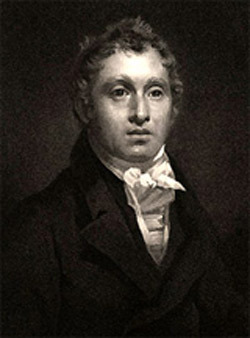 Brewster was the staunchest opponent of the antipluralist views expressed by William Whewell. He was a close friend of Thomas Chalmers and shared his views on the ubiquity of life in the universe grounded in natural theology. His review of Whewell's Of the Plurality of Worlds: An Essay is extraordinarily hostile, containing phrases such as "too ridiculous even for a writer of romance" and "utterly inept and illogical." Brewster's own book, More Worlds than One: The Creed of the Philosopher and the Hope of the Christian1 (1854), which was read more widely even than Whewell's Essay, argued for an uncompromising brand of pluralism designed to reveal the cosmic glory of God and his works. Every star has a planetary system like our own, every planet has life, even the Sun and Moon are inhabited, he maintained. The clip owner, Crrow777, believes that the image we see of the moon is some kind of holographic projection, inferring that the moon is either: not there, or there IS something there that the population should not see. My view would be the latter, simply because of the way that Nature responds to the lunar cycle. So the question is, "what's behind Door #2?" If we're looking at the Zonk, they what is actually there? Whatever it is, it is about the same size as the projected moon, some 2160 miles in diameter--the same size as New Jerusalem (documented in my papers). So my curiousity once again got the better of me, and I started looking through historical records to see how the moon was depicted in pre-16th century paintings. What I found was interesting... we can see the full moon, as is out tonight, very clearly with its craters, lines, seas and major features. Yet, these painters seem to have missed all that obvious stuff, so they must either have been blind or were painting what they saw in the sky. Observation: the crescent is larger than you'd get from light hitting a sphere, the moon is apparently hollow, and there is a face inside, the "man in the moon" concept. Actually, it looks a bit like those crescent-shaped UFOs from back in the 1950s/60s. Leonardo was no idiot, and well versed in historical and mythological records, so he probably got the idea of an inhabited moon from them. Looks more like the Death Star, than what we see out there now. And that's not the only painting around, either--there are lots of them depicting the moon as a kind of "mechanical sphere" with "wheels within wheels." Given that NASA switch all the color photos of moons in our solar system to B&W to hide the fact that they were actually habitable, with atmospheres, oceans and vegetation (and a lot of higher forms of life), what are they hiding, right in orbit around us? All I've been able to uncover in public records is that prior to the 1500s, the moon was described very differently, with water, air, forests and cities. After that, for some reason, the moon got "fuzzed" out and those details were no longer available. It may have been the Ark was moved into a longer orbit, as the old paintings tend to make the moon much larger than we would normally see it. That, of course, would disturb the lunar surface until the dust settled--but by then, technology may have been available to "hide in plain sight" what should not be seen by slaves. After all, if you are all alone and isolated in a bleak and deserted Universe, why would you ever want to escape your captivity? daniel wrote: -the same size as New Jerusalem (documented in my papers). Sorry, which paper are you referring too here? Speaking of which, when is the new instalment due? I still have many holes in my historiography of the Cyclopean --> Titan --> Annuna transitions. Lozion wrote: Sorry, which paper are you referring too here? Speaking of which, when is the new instalment due? It will be out when I feel it has something significant to relate; I don't "do due", so to speak. I try to present info to give you something to think about, that you won't find on the Wikipedia. Though at times I miss David W., as it was much easier just to explain things to him and let him do all the writing and lecturing. I'm not a journalist and have a tough time writing papers. And I replaced my wired keyboard with one of those wireless ones--what a piece of crap (Microsoft Media keyboard). I am a touch typist, so I'm usually looking at my notes or something, rather than the screen, and when I do look, all that typing is total garbage because it dropped 2/3rds of the characters. I'm about ready to throw it out the window and accidentally run it over with the truck--seven or eight times. Hard to find a decent keyboard these days, for those of us that grew up on manual typewriters. Part 5 was actually "good to go" a few months back, but then the RS2 research found a bit of a misconception in Larson's work regarding the concept of "Units of motion." Even though you can see how Larson got his concept, this different approach changed a lot of the "natural consequences" regarding speed ranges--and the first section of the paper used that to show the interior structures of planets. So had to rethink those consequences. Then the sun stuff came up, with the sun not being what we think it is. Still waiting on Chris to take up LBs challenge to produce a new solar model! Though this new model would seem to indicate that the photosphere is just the "interference" between motion in space (outside) and motion in time (inside), like the waves you get when ocean and air meet. A number of RS students believe that there is a "photon zone" that is shared between the two regions and observable from both, so this might be that structure. What we see as the solar disk may just be the shell of a bubble, separating 3d space from 3d time. Once you know how to "read" mythology, in a kind of Sci-Fi context, it is fairly well documented with the exception of the Titanomachy. The trick to it is to know where/what Tartarus is, where the Titans and remaining Cycloeans got sent. And for that, I need the latest RS2 research. daniel wrote: And I replaced my wired keyboard with one of those wireless ones--what a piece of crap (Microsoft Media keyboard). May I suggest some Logitech made keyboard to try out next, since they dont build KeyTronic keyboards anymore in the us or mexico where they used to do them. Those chinese copy keytronics are very much crap as well. I have Logitech Media Keyboard 600 that has served me well for quite a few years now, maybe more than few years, cant remember. I remember the old KeyTronic made in US it was so good even when I used to bash it around when I was a little, but it wouldnt break, untill the space key finally gave up so I had to get a new one. Chinese made KeyTronic was so bad it broke right away when accidentally dropped to ground, so then I got this current Logitech. This amateur astronomer accidentally videoed a meteor not only impacting the moon, but bouncing along its surface for some 2600 miles. You would think this would draw some attention, but it is being ignored... and yes, it left new craters as it bounced, visible to anyone with a telescope. If you do the calculations, you find out why. 650 miles per second* 3600 seconds/hour = 2,340,000 mph. Yes, that is over 2 million miles per hour and it just bounced, leaving a trail of small craters. That's over 100x faster than your typical meteor. I would also like to point out that the moon's escape velocity is about 1.6 miles per second. The object was traveling over 400x escape velocity, so the first bounce, even at a small approach angle, should have shot that "meteor" back into space, not repeatedly bouncing along the surface. There just isn't enough gravitational pull to bring that meteor back to the surface for repeated impacts. Not to mention that the meteor remained intact after repeated 2.34 million mph impacts... I know of no material that can withstand that kind of impact force without shattering from the kinetic energy released. Also, where's the kaboom? There should have been a moon-shattering kaboom. Nothing about this video "adds up" with a meteor hitting the moon, "as we know it." The fastest meteor impact seen on Earth was about 160,000 mph, which is still 15x slower than this lunar one. So perhaps the oddity here isn't the meteor--but the moon, itself. From what I can tell, things are out of sync by 100:1. Let's increase the time from 4 to 5 seconds, just to be safe. 2600 miles/5 seconds = 520 miles per second, or 1,872,000 mph. If we adjust 520 miles per second to 5.2 miles per second and use the "Moongate" information that says the moon's gravity is 85% of the Earths (from neutral point calculations), that would put the escape velocity of the moon at 6 miles per second--and the meteor would bounce. There seems to be some kind of astronomical scaling problem going on here. So, do we have a 2600-mile moon orbiting at 238,900 miles--or a 26-mile moon, orbiting at 2389 miles? Or something in-between? Visually, from Earth, they would look the same, including eclipses. daniel wrote: There seems to be some kind of astronomical scaling problem going on here. So, do we have a 2600-mile moon orbiting at 238,900 miles--or a 26-mile moon, orbiting at 2389 miles? Or something in-between? Visually, from Earth, they would look the same, including eclipses. What about the ocean tides? Are they included as well?